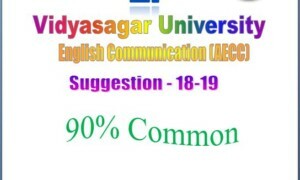 AECC Communicative English Study Notes for Vidyasagar University & Other University. What is communication? / What do you mean by communication? Communication is a Latin word which means ‘to share’. Communication is simply the act of transferring information from one place to another. It includes the sharing of ideas, concepts, imaginations, behaviours and written content. Communication is simply defined as the transfer of information from one place to another. Mention four elements of communication. Seven major elements (উপাদান) of communication process are: (1) Sender(প্রেরক) (2) Ideas (3) Encoding – (সঙ্কেতাক্ষরে) (4) Communication Channel (মাধ্যম) (5) Receiver (6) Decoding (পাঠোদ্ধারতা) And (7) Feedback (প্রতিক্রিয়া). The person who intends to send the message or information and ideas to others is known as sender or communicator. It is the process of using symbols to send the message. The person who is interested in communicating has to choose the channel for sending the required information, ideas etc. This information is transmitted (প্রেরিত) to the receiver through certain channels which may be either formal or informal. Receiver is the person who receives the message. It is the receiver who tries to understand the message in the best possible manner. It is the process of understanding and interpretation (ব্যাখ্যা) of the message sent. It is the response, the receiver gives to the sender as a result of sender’s message. Rhetorical Theory Of Communication (অলঙ্কারশাস্ত্র /বাগম্বড়পূর্ন) : It is said that rhetorical theory began on the Island of Sisily. Rhetorical theory includes the study of visual and nonverbal elements. Now a rhetorical theory addresses all contexts in which symbols are used. Phenomenological Theory: In this theory, the self experience and the others experience through a dialogue is central. It suggests the analysis of everyday life of a person. Socio Psychological Theory: The socio-psychological theory is grounded in the study of the individual and there is specific focus on interpersonal interaction and influences. For instance, one might be inclined to stop smoking if they saw public service announcements with graphics details of what smoking does to the lungs. Socio Cultural Theory: The socio-cultural tradition looks at the ways our understandings, meanings, norms and rules are worked out interactively in communication. This tradition is centered on the creation and performance of social reality. From our communication with the community or social groups we are able to understand the world. Semiotic Theory: In the semiotic tradition, communication is seen as a process of sharing meaning through signs. It includes the study of verbal and non-verbal signs that can stand for something else and how this explanation impacts on society. Cybernetic Theory: Cybernetics refers to a tradition of complex systems where the interacting elements influence one another. In this tradition communication is seen as a system of processing information, feedback and control. Critical Theory: In this theory, communication is made on a social argument among critics and digital media or social media. 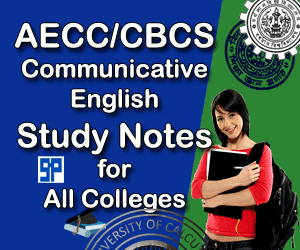 See Also: AECC Communicative English Study notes on Writings Skill for UGC all Colleges Exam.